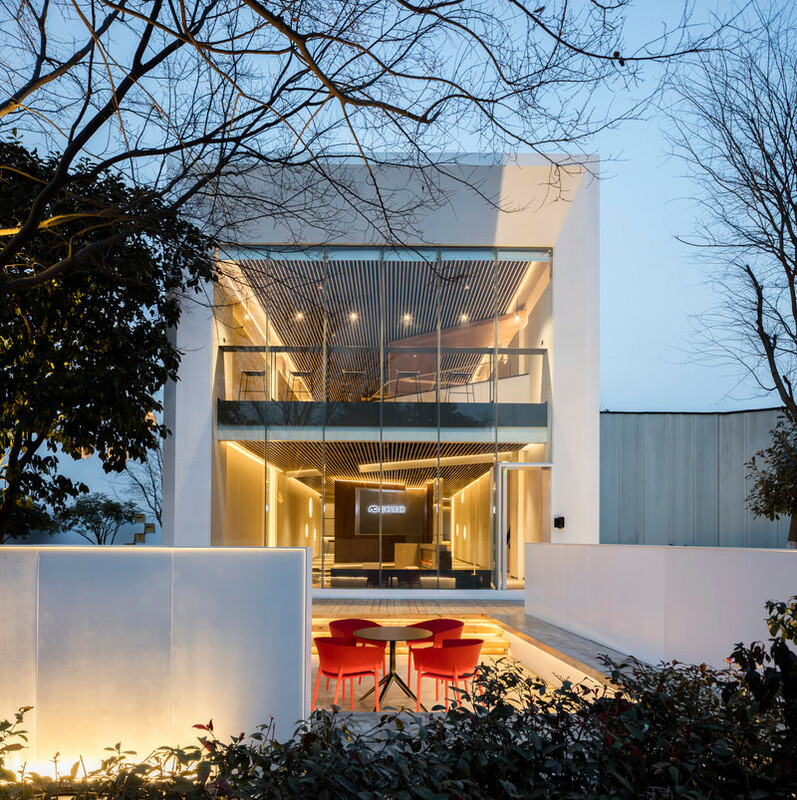 Wick Architecture & Design + LAND Design Studio recently completed Sake Dojo located in the city’s popular Little Toyko neighborhood. 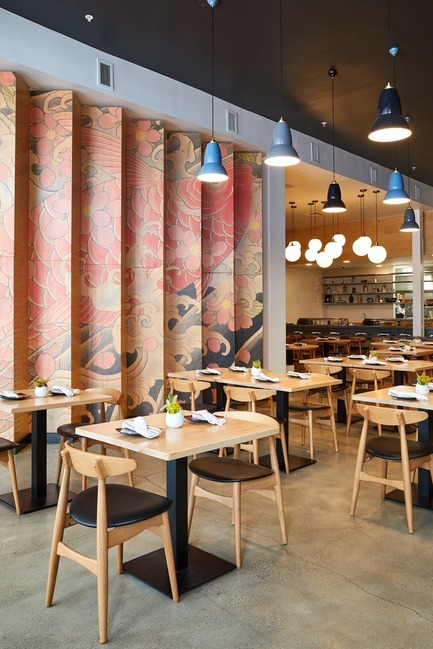 Deemed the largest Japantown in the United States, the National Historic Landmark District boasts scores of traditional Japanese specialty-food restaurants. 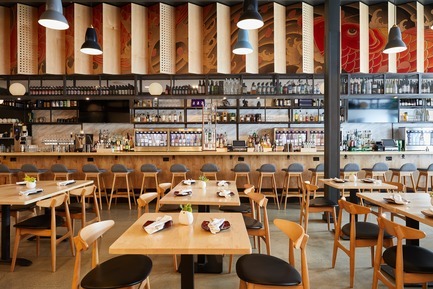 As Little Tokyo’s latest dining and drinking hot spot, Sake Dojo captures the vibe of a modern Tokyo establishment, while exploring the ancient art of Japanese tattooing as its dominant design motif. 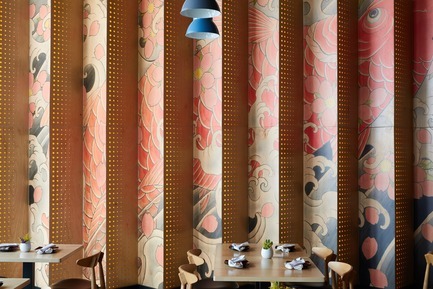 In homage to Sake Dojo’s “Japanese forward” culinary spirit, designers David Wick and Andrew Lindley—the duo behind Hollywood’s new Gold Diggers Hotel and top culinary destinations such as Mexicano and Church & State—fused their impressions of Tokyo, from the traditional and modern to the humorous, and even, fantastical. 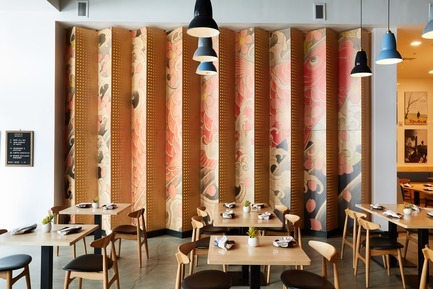 In the restaurant’s context, that experience becomes one of being enveloped by a “body suit,” this time with wood acting as the canvas instead of human skin, and wood grain deployed to mimic how ink sets on human skin. Wick and Lindley collaborated with tattoo artist Horifuji and printer Michael Hill of A ō S A to create the lenticular walls of tattoo art and light that fill the space. 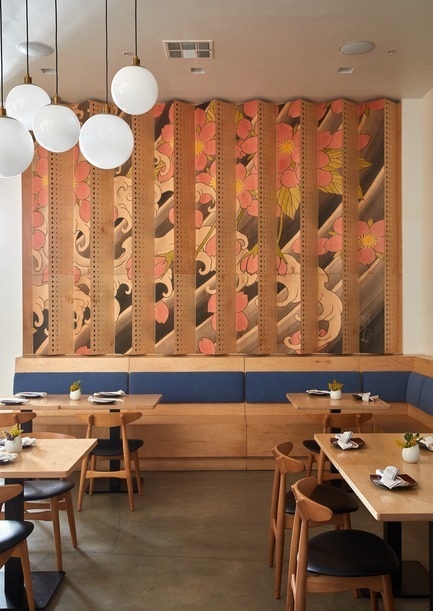 Featuring waves, water petals and Koi fish, the aquatic theme is articulated in the main dining area on a 26 ft-wide by 12 ft-high feature wall near the entrance and on a 15 ft-wide by 9 ft-high adjoining wall, before rising 5 feet above the bar and running its entire 50-ft length span. 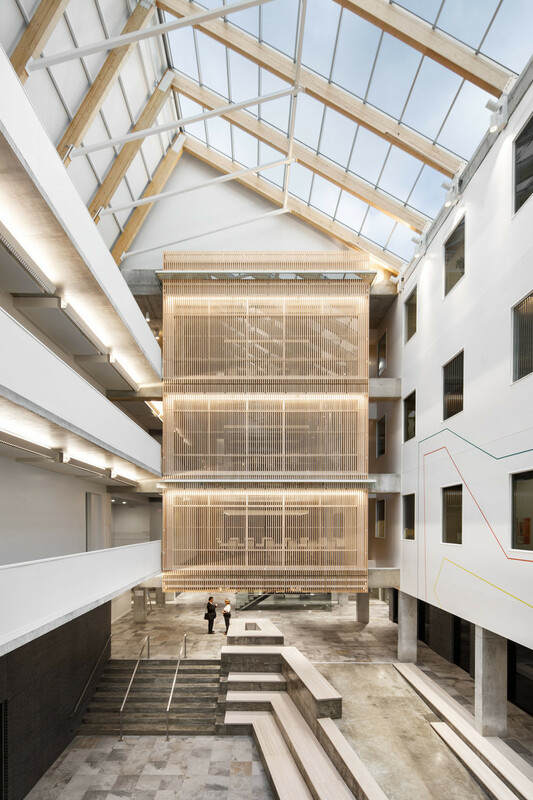 The sequencing of the perforated plywood panels goes beyond the merely decorative to the purposeful by housing lighting systems, covering mechanical diffusers, and containing HVAC above the bar. 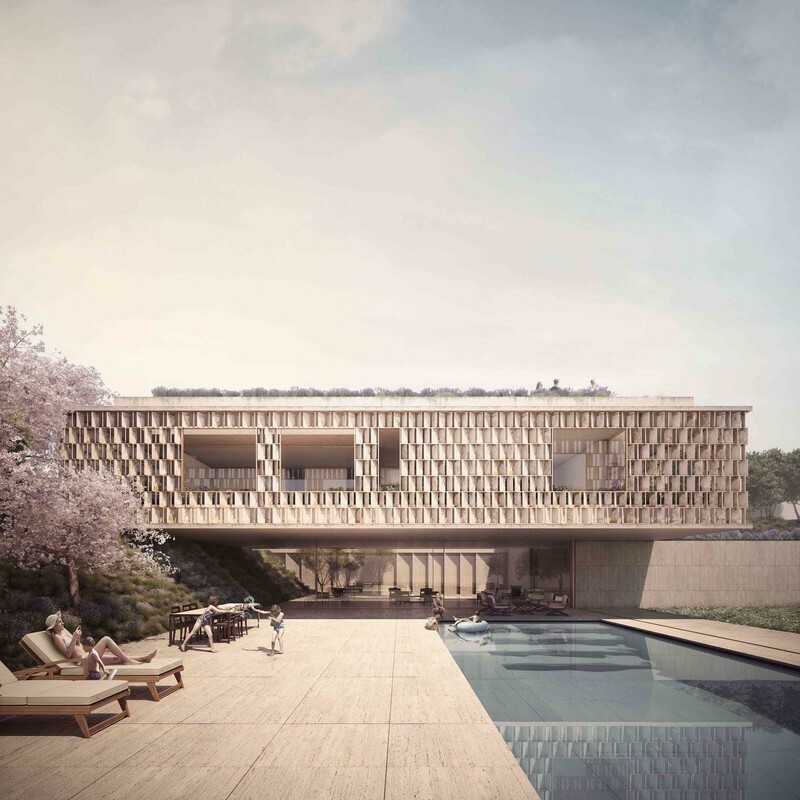 In the restaurant’s private dining room, floor-to-ceiling sliding perforated panels continue the design motif, cleverly enclosing the room and providing dappled views inside and out. 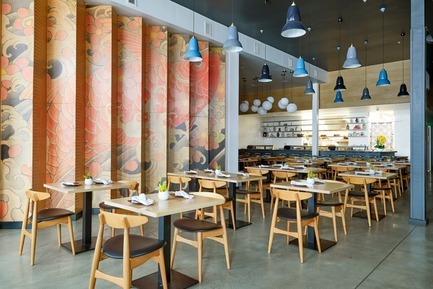 Throughout the 3,283 square foot space, Wick and Lindley layered a tongue-in-cheek environment with vintage décor that includes a series of American movie posters in Japanese, including Life Aquatic and The Good, the Bad and the Ugly, as well as vintage cameras, sake bottles and Japanese cookbooks. 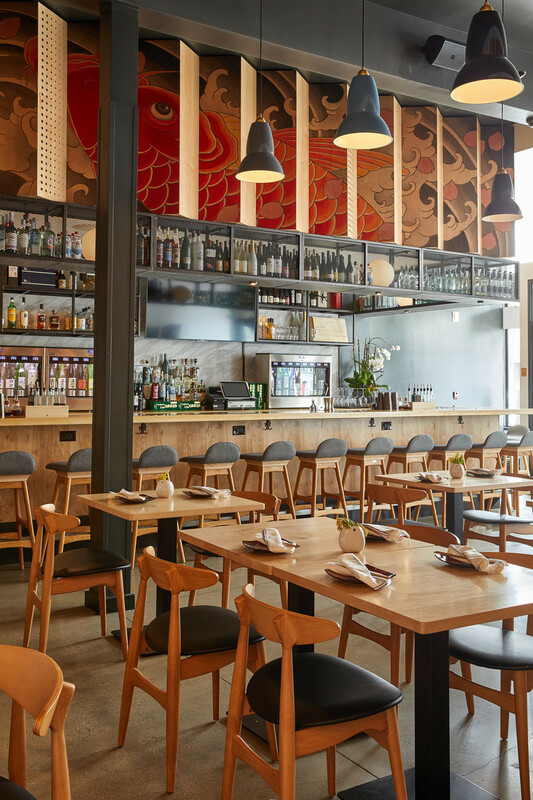 In the expansive bar area, which is Sake Dojo’s claim to fame, an expanded steel liquor cage and generously sized bar amplify the sake theme, where guests can order more than 120 varieties on tap. 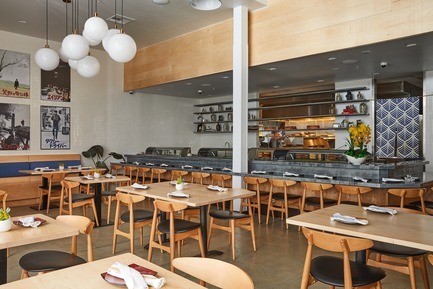 Located on the ground floor of the recently remodeled Mikado Hotel in a historic building dating back to 1914, Sake Dojo is the fourth restaurant project Wick and Lindley have completed in Los Angeles’ flourishing downtown. 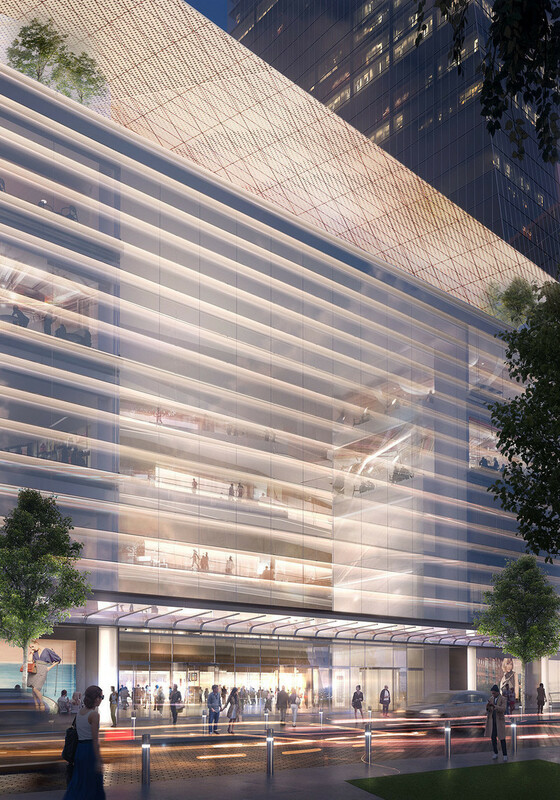 David Wick and Andrew Lindley have been collaborating since they first designed Church & State in downtown Los Angeles’s popular Arts District neighborhood in 2006. 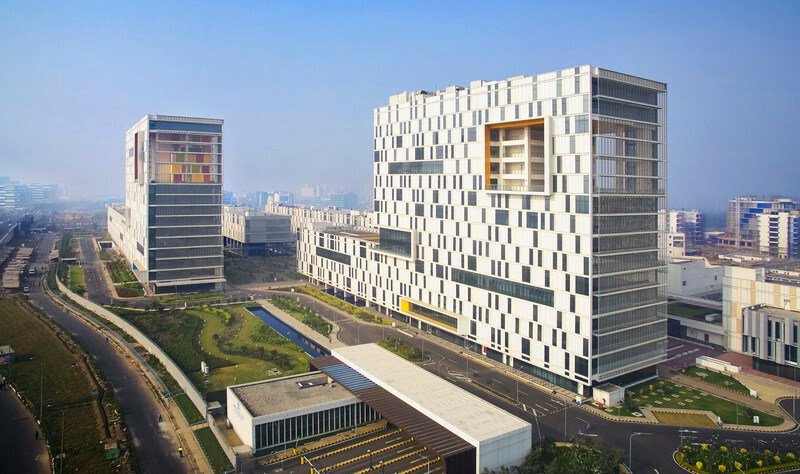 Working together through all project phases, from concept to construction administration, they approach commissions based on shared conceptual theories, similar aesthetic sensibilities and recognition of each other’s distinct backgrounds, areas of expertise and design interests. 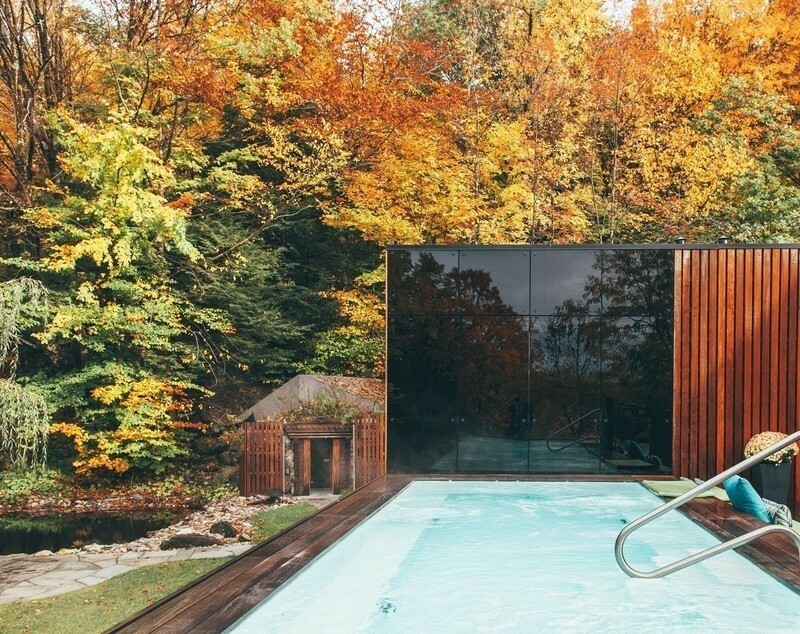 Their focus is to create innovative projects, while also responding to each client’s unique design brief. 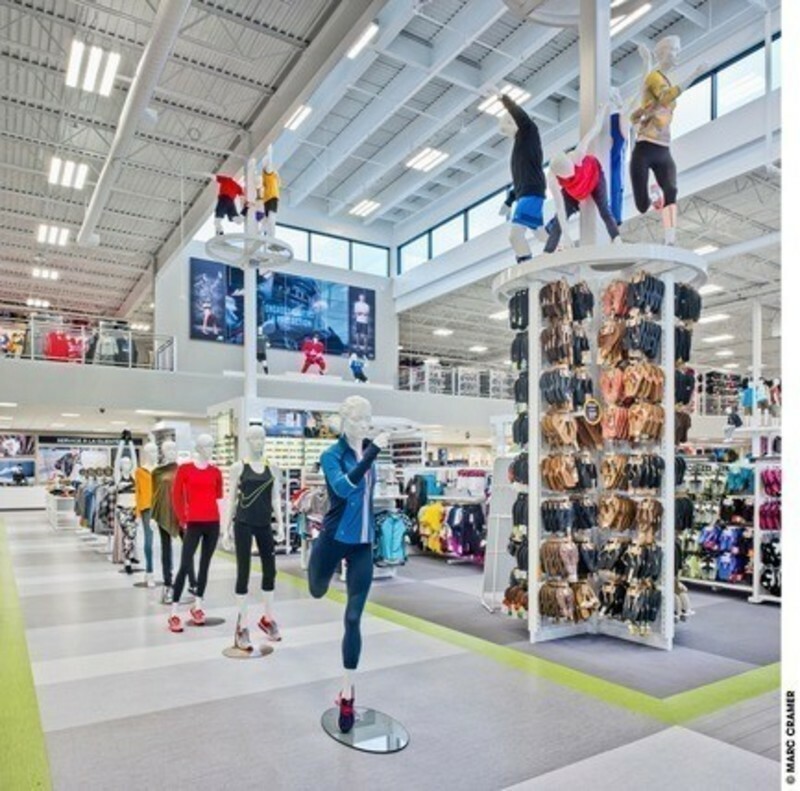 Over the years, clients have included Joes Jeans, Church & State, Mexicano, and Engine Real Estate. 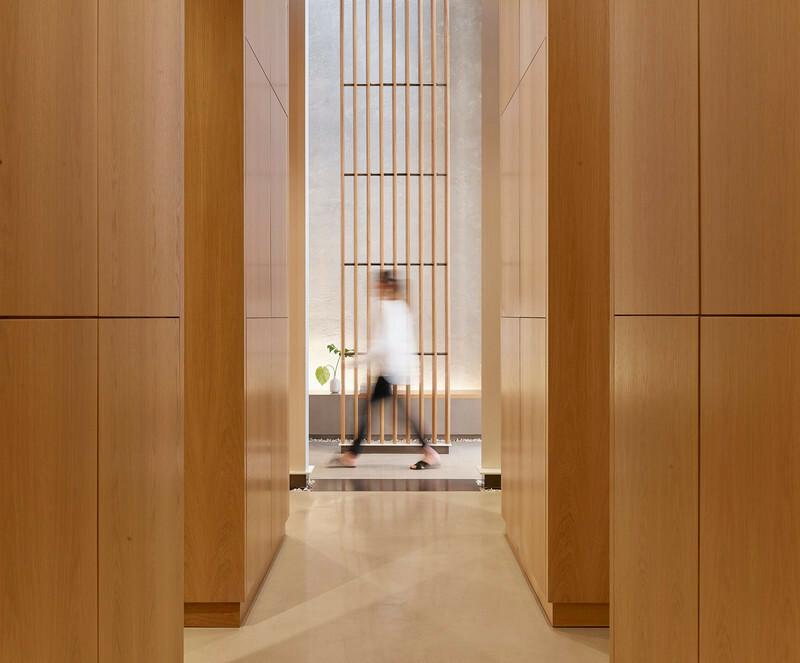 Wick Architecture & Design + LAND Design explored the ancient art of Japanese tattooing as the dominant design motif for Sake Dojo, located on the ground floor of a 1914 building in Los Angeles’ historic Little Tokyo. Re-imagined as a beyond-life-size “body suit” with wood acting as canvas instead of human skin, the lenticular walls of tattoo art and light fill the space. 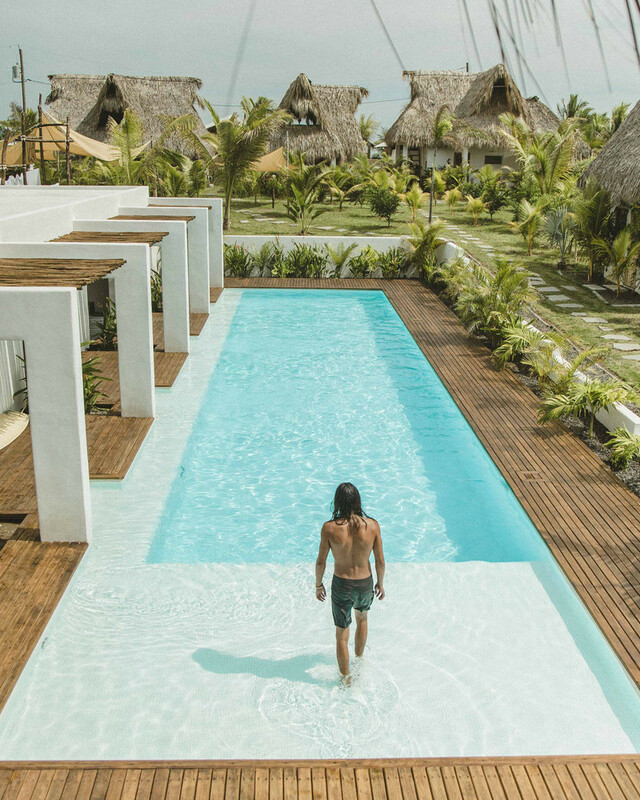 The tattoo art’s aquatic theme featuring waves, water petals and Koi fish is articulated on a 26 ft-wide by 12 ft-high (or nearly 8 by 4 meters) feature wall near the entrance. 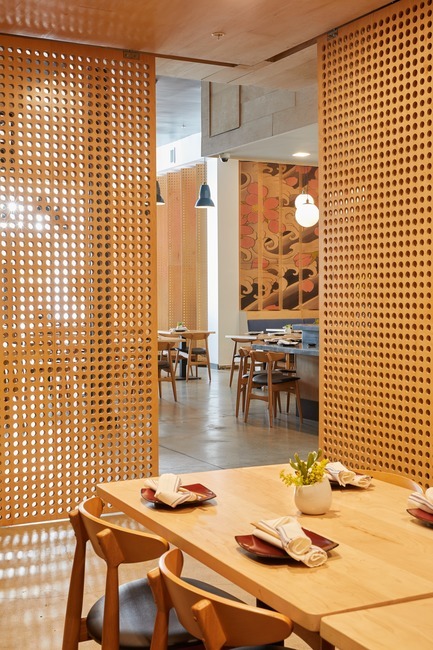 Perforated plywood panels house lighting systems and cover mechanical diffusers. Above the expansive bar at Sake Dojo which features 120 sake varieties on tap, the tattoo art rises 5 ft-high by 50 ft-wide (or nearly 2 by 15 meters). Above the bar at Sake Dojo, the lenticular walls of art and light provide an aesthetic focal point while also housing HVAC systems. 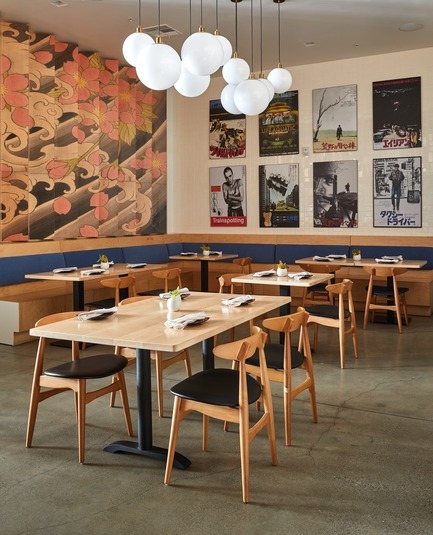 In the main dining area, design collaborators David Wick and Andrew Lindley juxtaposed the tattoo art with a display of Japanese language versions of American movie posters. 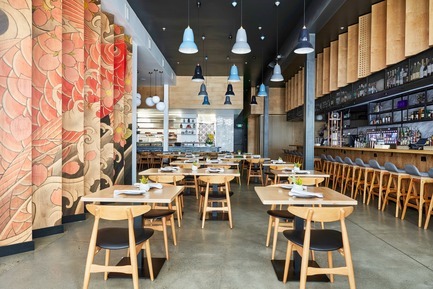 Sake Dojo’s pared-down, wood-focused materials palette scales from a 15 ft-wide by 9-ft high (or nearly 5 by 3 meters) tattoo wall down to the banquette, tables and dining chairs with simple profiles. 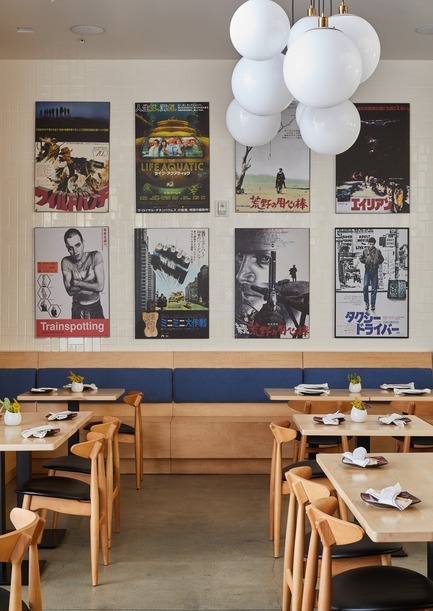 David Wick and Andrew Lindley created a tongue-in-cheek nod to the cross-pollination of Japanese and American cultures through a series of American movie posters in Japanese. Sake Dojo, which also features a sushi counter, serves Japanese-style cuisine with a modern twist. 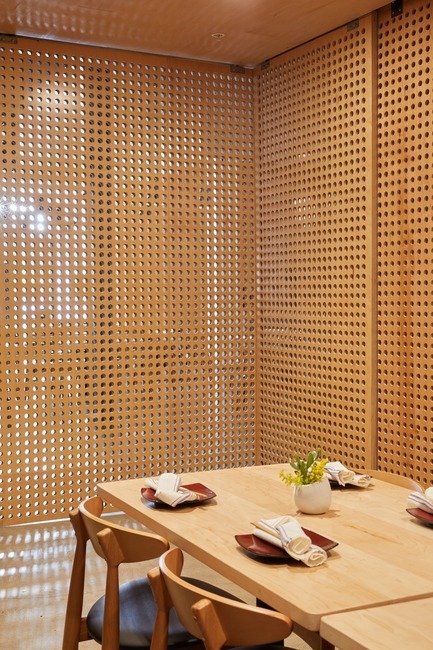 David Wick and Andrew Lindley delineated the private dining room at Sake Dojo with floor-to-ceiling sliding perforated panels. 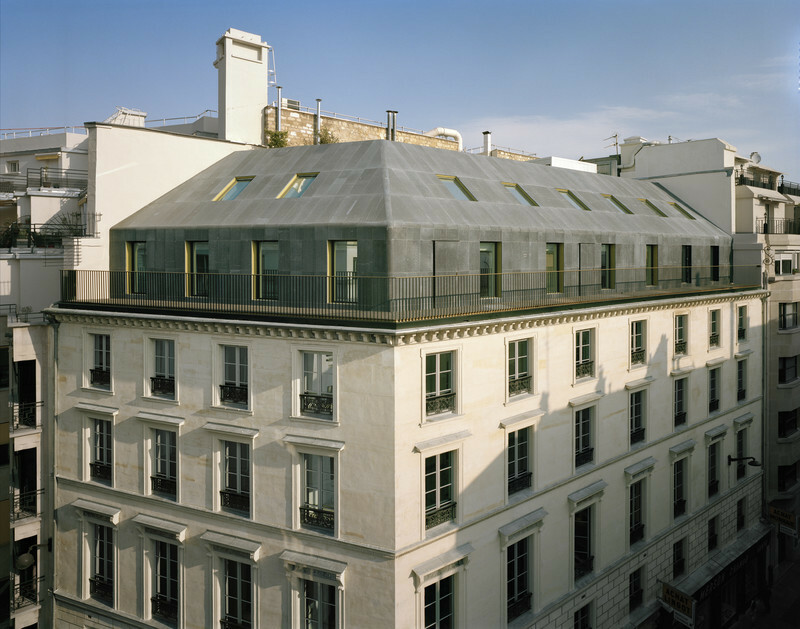 The sliding panels create an intimate room within the 3,283 space foot space (305 square meters) that elegantly pairs with the restaurant's energetic and urban vibe. 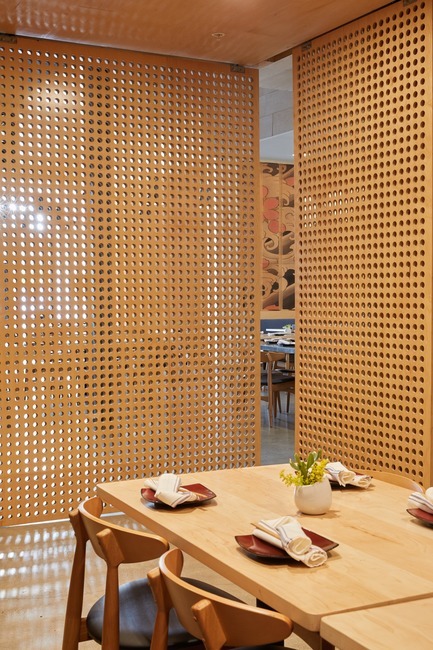 The floor-to-ceiling perforated panels cleverly enclose the private dining room at Sake Dojo and provide dappled views from both inside and out.